We'd like to wave a glittery goodbye to all our users of the BBC Strictly Come Dancing blog as it closes for the current series. 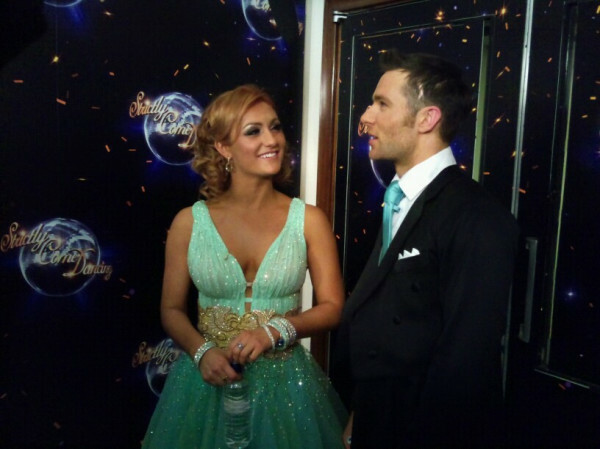 EastEnders actress Charlie Brooks has been crowned Queen of the Christmas Ballroom just a week after the grand finale that saw Harry Judd crowned champion of 2011. The five-star Christmas line-up brought a sprinkling of festive sparkle to Christmas day. Former world featherweight boxing champion Barry McGuigan Quickstepped with Erin Boag, comedienne Debra Stephenson and professional dancer Ian Waite performed an American Smooth, Blue's Simon Webbe and his professional partner Katya Virshilas danced a Cha Cha Cha, Hi-De-Hi legend Su Pollard Foxtrotted around the dancefloor with Anton Du Beke, and completing the famous five was EastEnders' prime villainess Janine Butcher, actress Charlie Brooks, who danced a festive jive with Vincent Simone. After watching all dances, the studio audience cast their vote for their favourite and the champion of the Strictly Come Dancing 2011 Christmas special was Charlie Brooks. Reflecting back on the results of tonight's show, Charlie stated "I've absolutely loved it, I've had such a brilliant time, Vincent has been amazing. I've made such a good friend here". 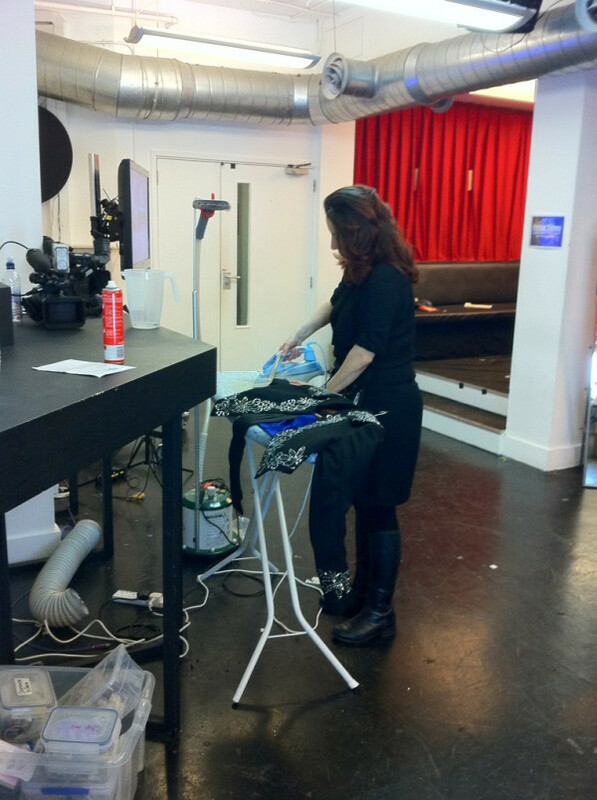 Of course, we were behind the scenes getting you all the best, exclusive pictures which you can see below. 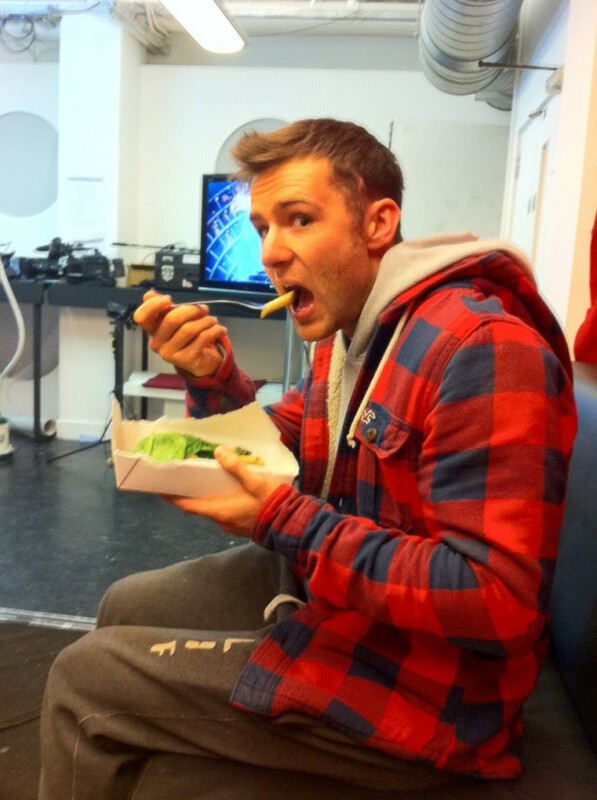 We at SCD-HQ have been constantly searching out exclusive content for you throughout the series and this time we have quite the treat for you! 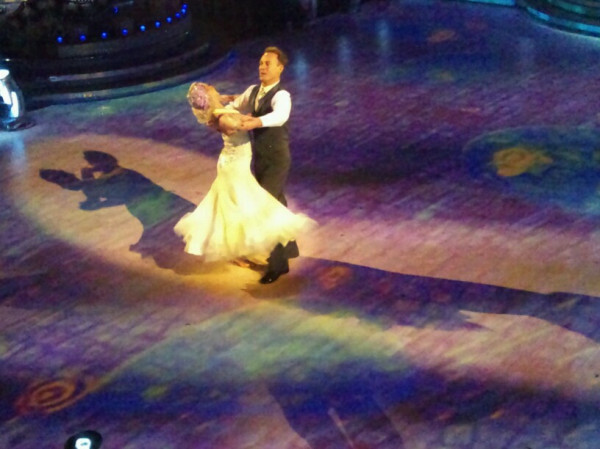 Harry is crowned Strictly Come Dancing Champion! 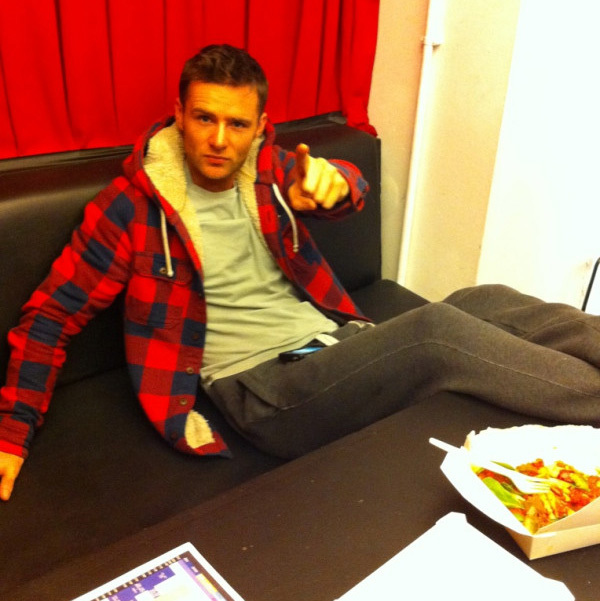 Harry Judd has been crowned Strictly Come Dancing champion 2011! The McFly drummer and his partner Aliona triumphed in an evening that saw them perform a dazzling display of four different routines including a sizzling showdance which finished with Harry back banging out a beat on his drum kit. Len Goodman told him fittingly for the Blackpool final "If you were a stick of rock you'd have talent written right through you". Harry also danced his way into the hearts of the other judges and the whole country with Alesha remarking ""The nation has fallen in love with you" whilst Craig Revel Horwood added "Harry I've fallen in love with you too..."
We were first on the dancefloor to film an exclusive interview with Harry and Aliona after the result was announced. The Grand Final - Results Show! 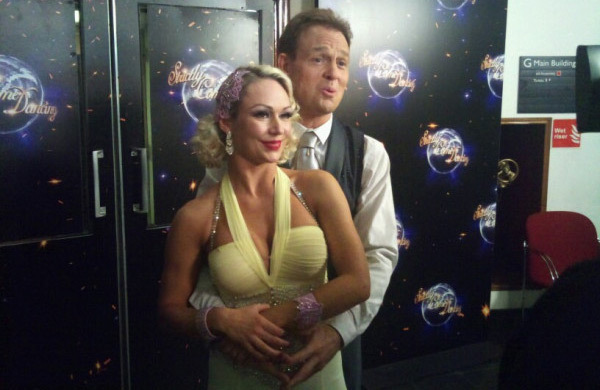 Who will be crowned Strictly Come Dancing Champion 2011? 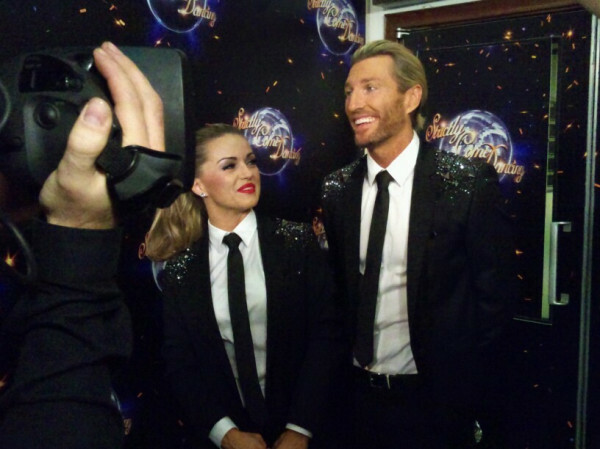 In tonight's show Chelsee, Harry and Jason were tantalisingly close to glitterball glory as they each gave two spectacular routines. 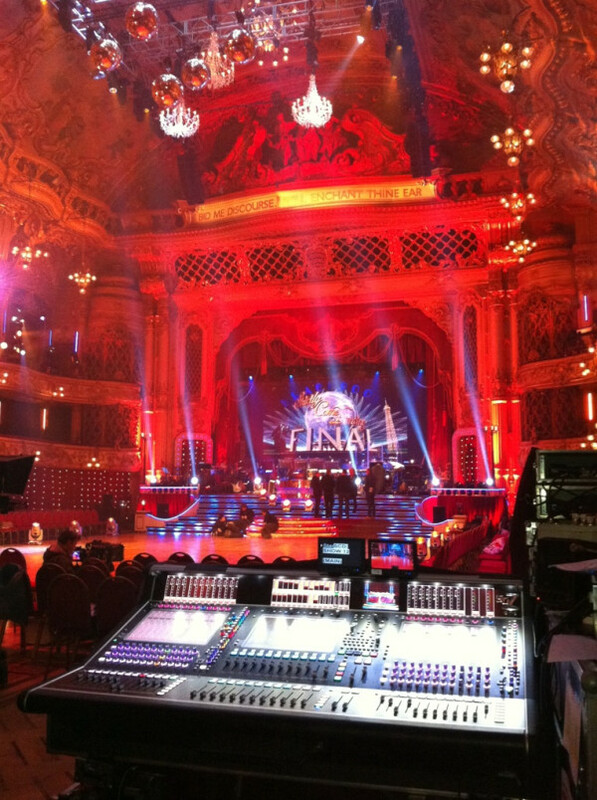 In a show where only the viewer vote counts, the judges were full of praise for their performances, after a storming start Bruno said to Harry "You came and you danced and you conquered Blackpool." 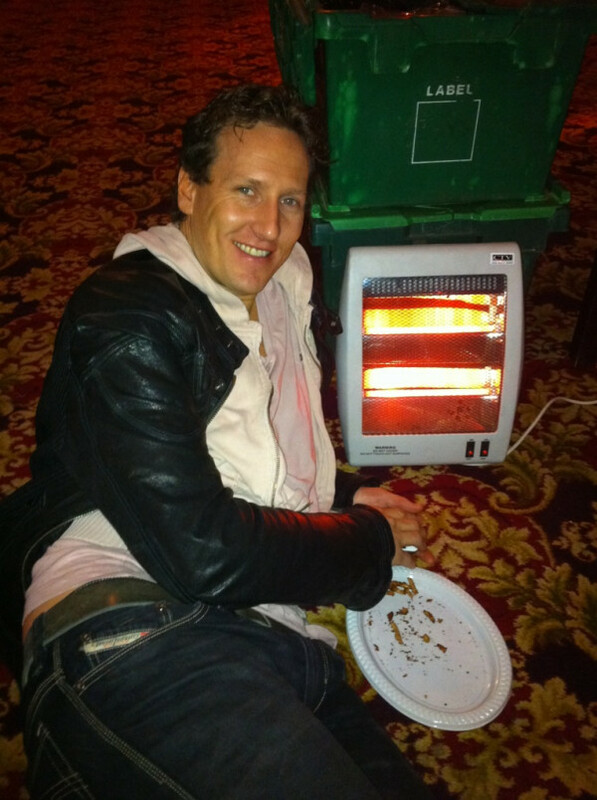 Alesha said to Jason "If it was a marathon Jason you would have already won." And Len told Chelsee "I've judged in this room many times, judging a girl like you with no experience is as good for me as judging the world championship." Is it too close to call? 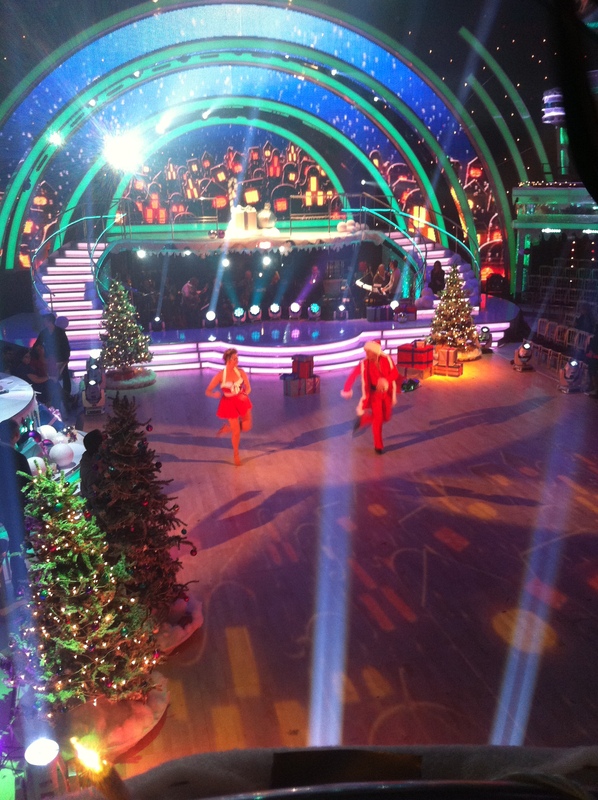 It seems like it, stay right here as we crown the winner and runners up of Strictly Come Dancing 2011! Tonight plays host to two of the most tense and exciting shows in this year's series; one has just passed, the other will start at 9pm. 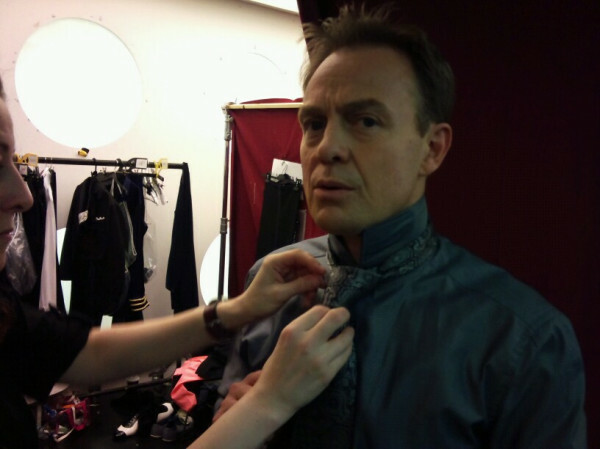 In the meantime, if you still have Strictly fever and you need a remedy, just watch this look-back at Strictly Come Dancing 2011. Side effects include: tapping feet, singing outbursts, severe smiling and goosebumps. 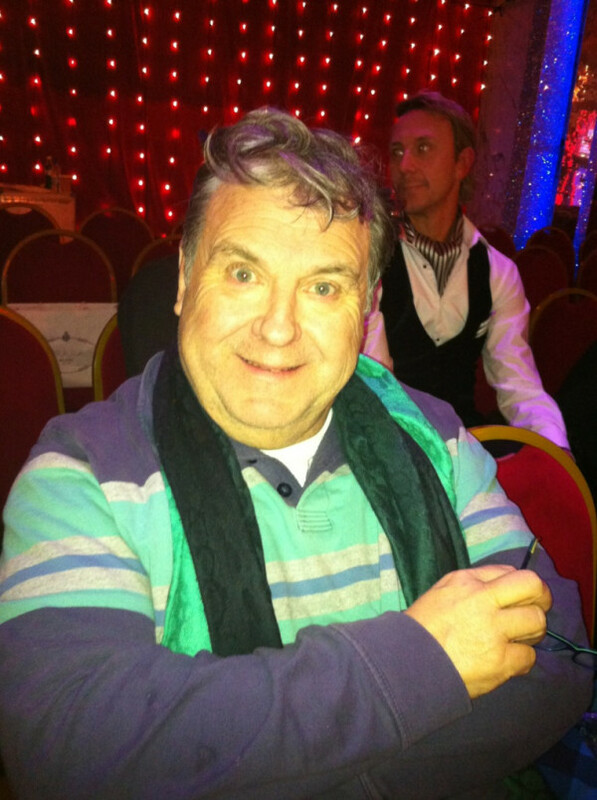 All Strictly fever symptoms should subside when the Results show starts at 9pm. Strictly Come Dancing 2011 is now at the apex. 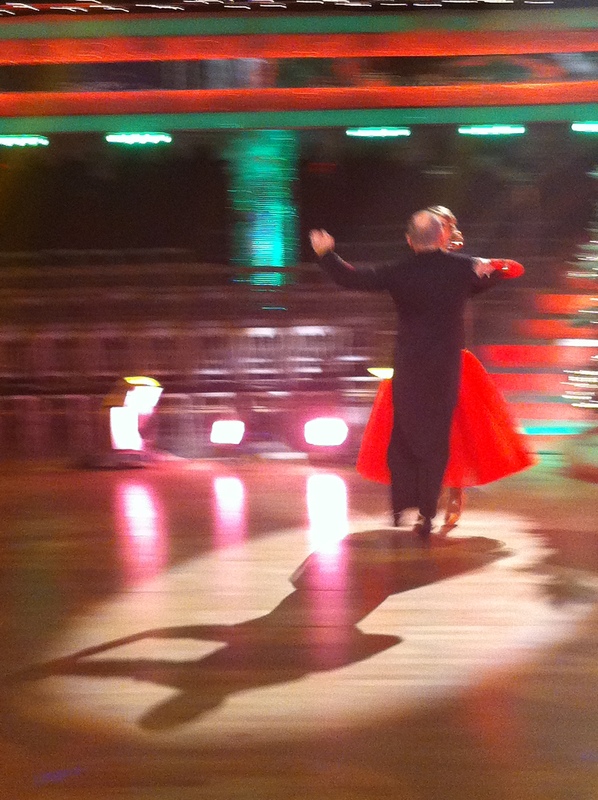 14 couples entered the ballroom back in September, but tonight, only one pair will leave as Strictly 2011 champions. The atmosphere and energy have reached new heights as our final three couples - Chelsee & Pasha, Harry & Aliona and Jason & Kristina - will be dancing up to FIVE different routines. 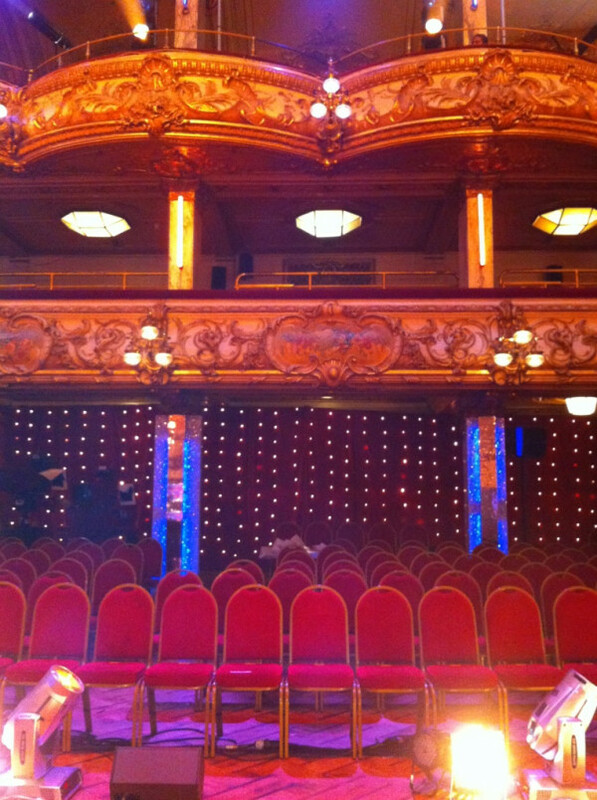 All three celebs will be making their Strictly debut in one of Britain's most prestigious dance arenas - The Blackpool Tower Ballroom - which can only add to the excitement. Best seats in the house?! 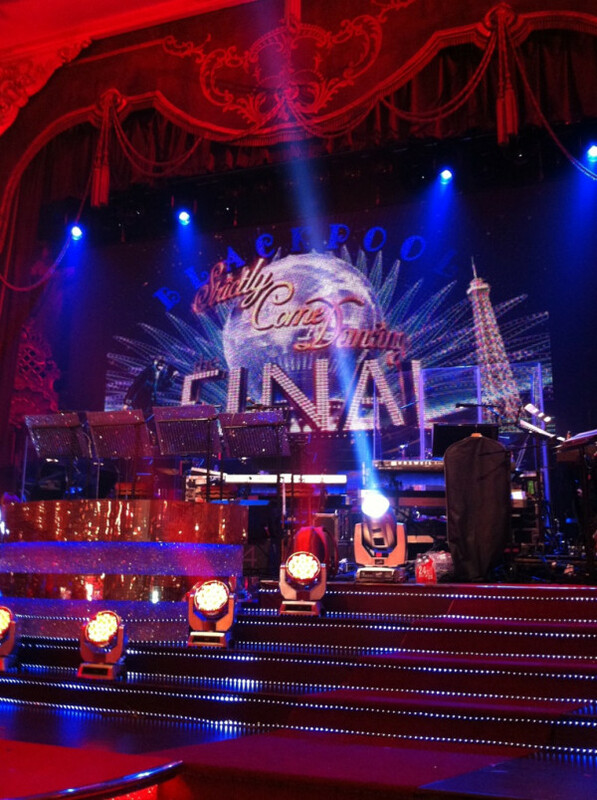 The SCD stage is set - are you ready for the Grand Final? 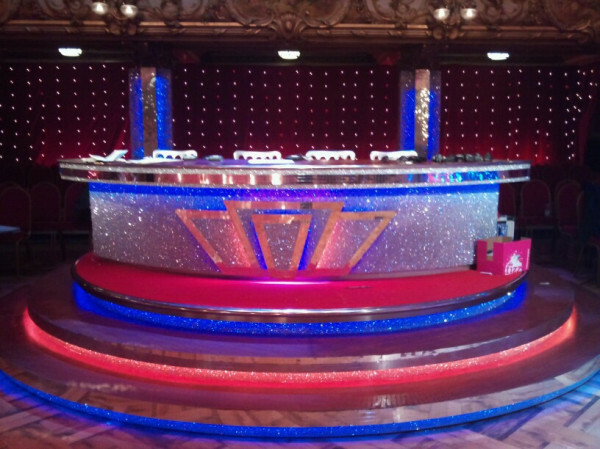 The judges' desk made it to Blackpool! Wonder who'll get the first 10? What a view! Can you spot Tess' area in the corner? Just waiting for the dress run to begin -sound check! After fourteen weeks of hard graft, spray tans and sequins, our finalists will be performing four routines under the glitter ball at Blackpool Tower this Saturday. 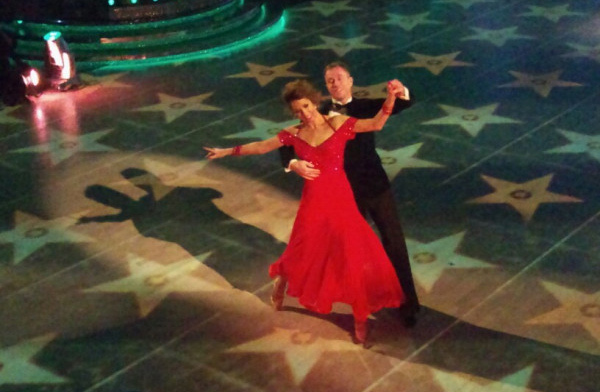 Each duo will be making their debut in the grand ballroom by showcasing a variety of performances, including a specially choreographed show dance, in the hope of being crowned the winners of Strictly Come Dancing 2011. With three amazing contenders for the trophy this year we are definitely in for a fantastic finale - we caught up with Chelsee & Pasha, Harry & Aliona and Jason to enjoy a sneak peek at their showdance training. 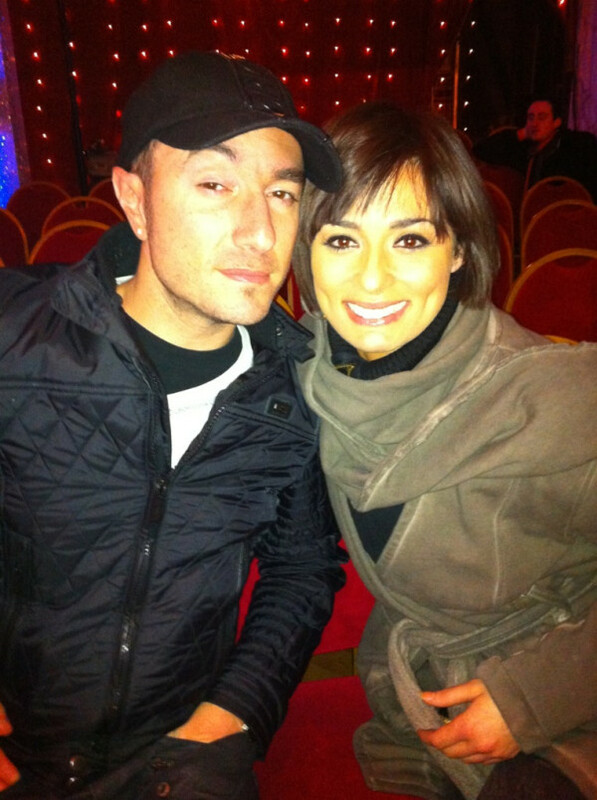 The Strictly final is only a few days away! 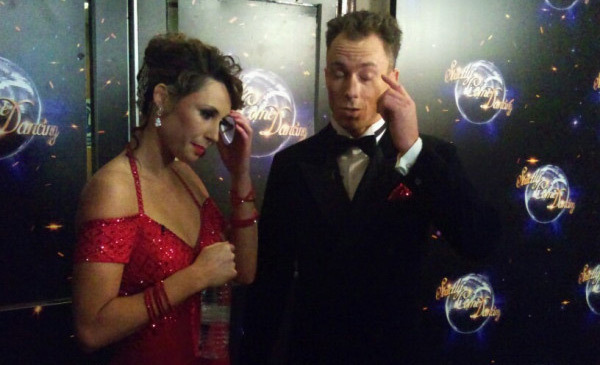 We caught up with some celebrity Strictly fans to see who they thought would be victorious. 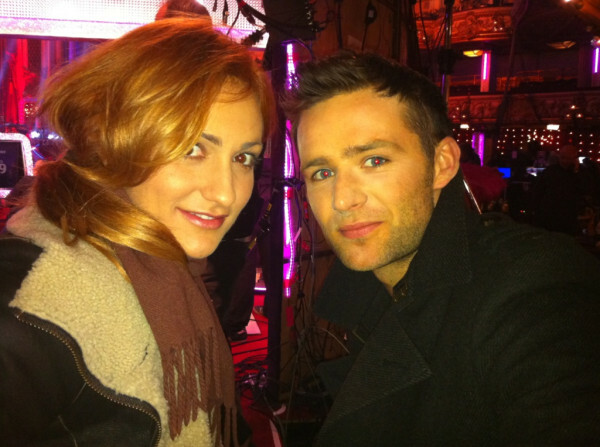 In an emotional end to the semi-final Alex and James and Holly and Artem were voted out of Strictly Come Dancing 2011. 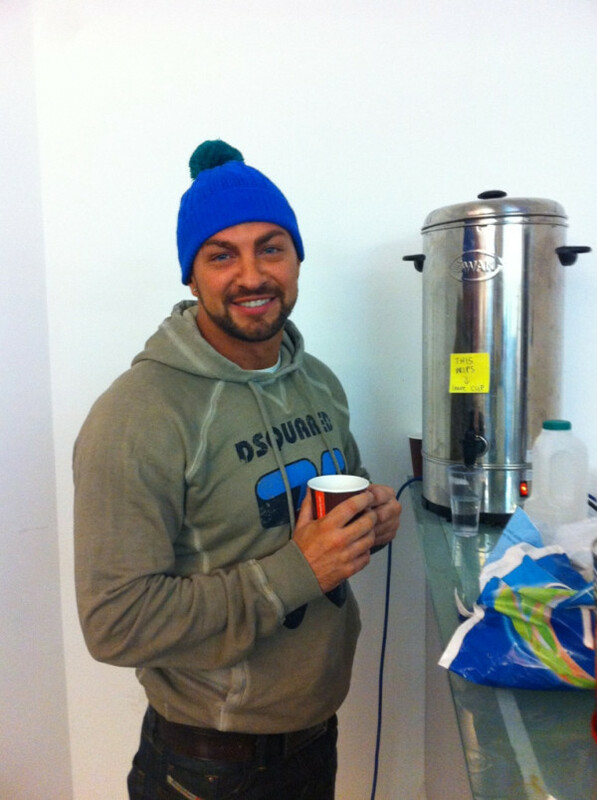 Alex thanked James Jordan "We laughed eighty per cent of the time, apart from when I got left and right wrong!" 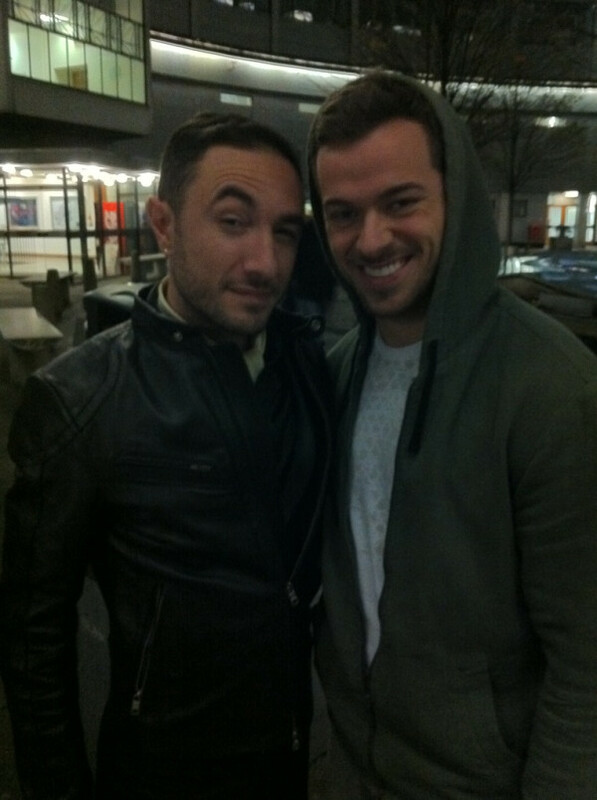 Holly also her praised professional partner Artem saying "Besides working with the most brilliant choreographer I've ever witnessed in my entire life, I've made brilliant new friends." Our Strictly semi-final was a ballroom battle of epic proportions as our five remaining couples danced twice to prove to the judges they were worthy of three coveted places in the final. It was a night of double the dances, double the drama and double the figures as two of tonight's celebrities scored four tens for the first time. 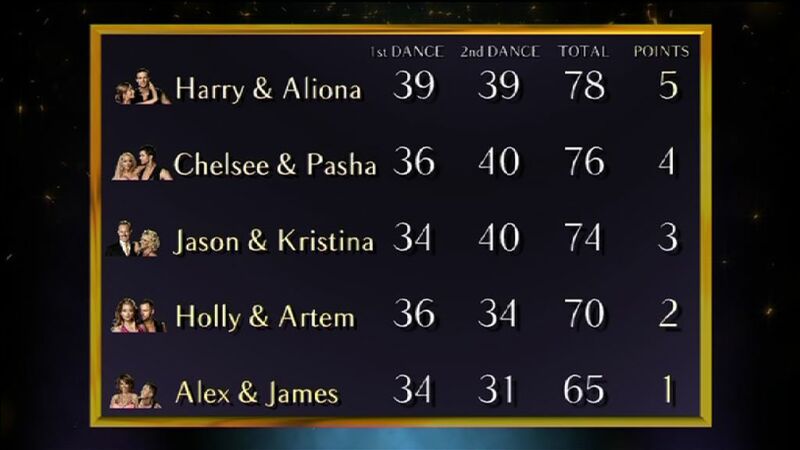 And although Chelsee and Jason had perfect scores for their performances, it was Harry who climbed to the top of the leaderboard with a consistant total of 39 for each dance. 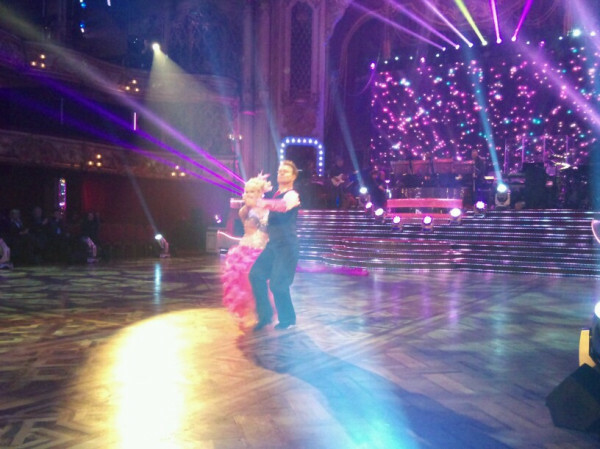 Leaving Alex languishing at the bottom after achieving 31 and 34 for her Waltz and Salsa. Who will be on the bus to Blackpool? Tune in tomorrow at 6.55pm to find out. 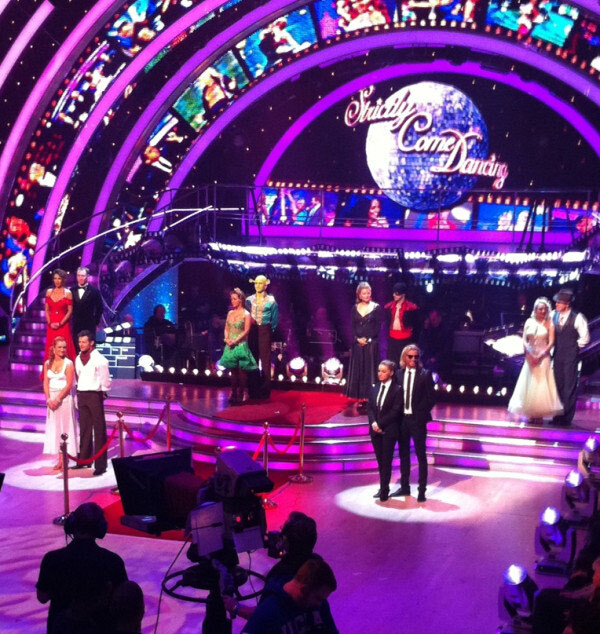 Tonight our five remaining couples are dancing for the last time in Television Centre. The chosen three who make it through this evenings semi-final will be Waltzing up to Blackpool with a chance of getting their hands on the Strictly glitter ball. 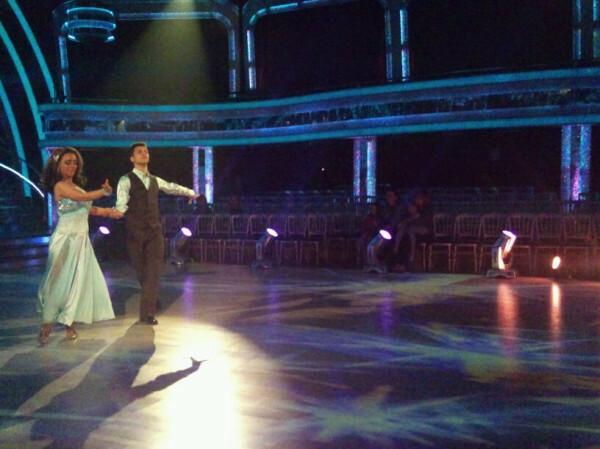 How will our duos fare performing two dances? And will the judges and the public agree on who should make it through to next week? Well, sit tight and tune your TV into BBC One at 6.30pm to see the action unfold - we will be at stage door to get our teams reactions straight after their dances, so make sure you check back to get EXCLUSIVE backstage gossip. 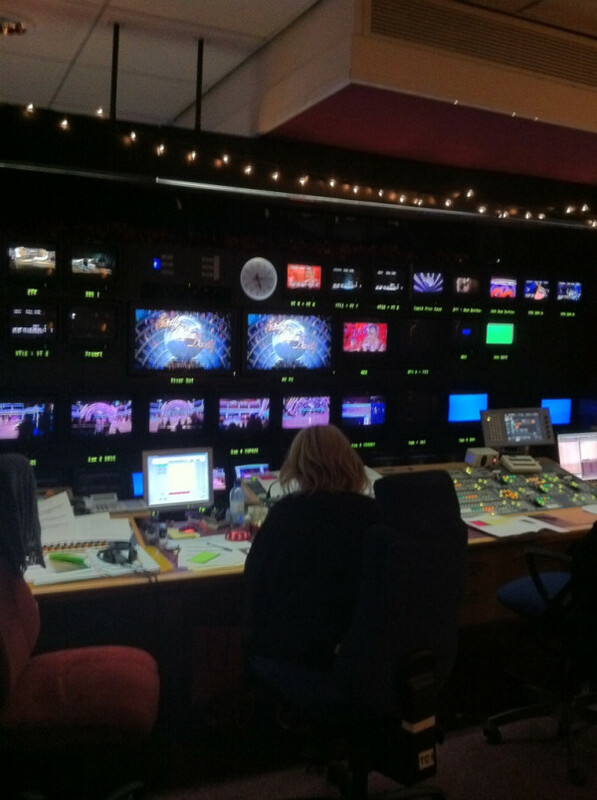 The studio gallery aka the 'brain' of Strictly! These boys had better go get ready! It's call time for the our semi finalists. Are YOU ready? Harry: "1 dance down. 1 to go!" 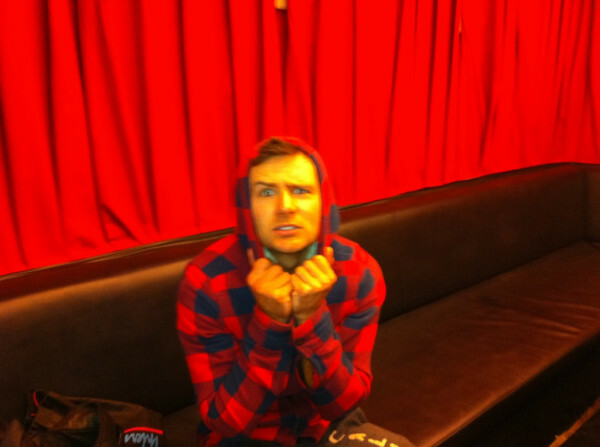 James: "Alex was shaking so much. She's still shaking now!" 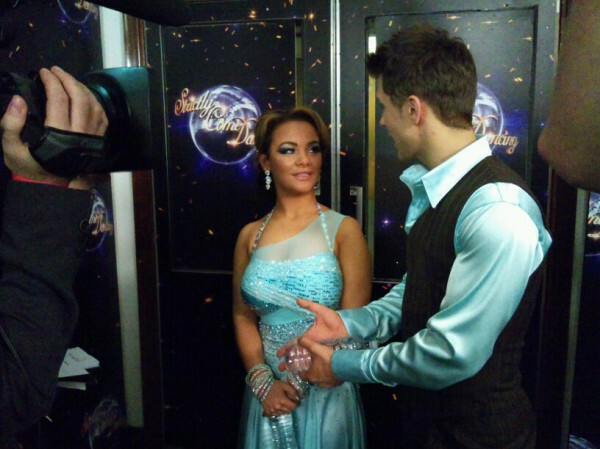 Pasha: "It's so tense out there. No one wants to go now!" Holly: "I got the worst leg cramp at the start!" 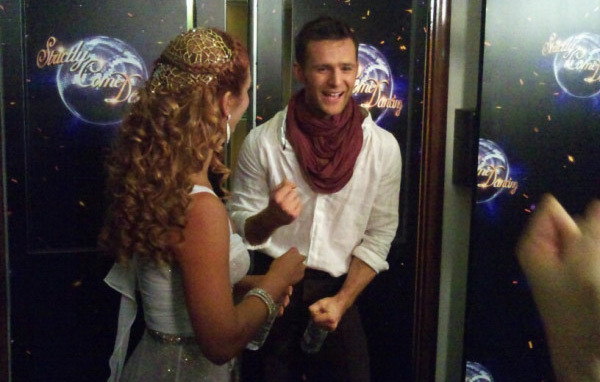 Jason: "It's all go to get ready for the next dance!" Harry: "6 10's in one night! 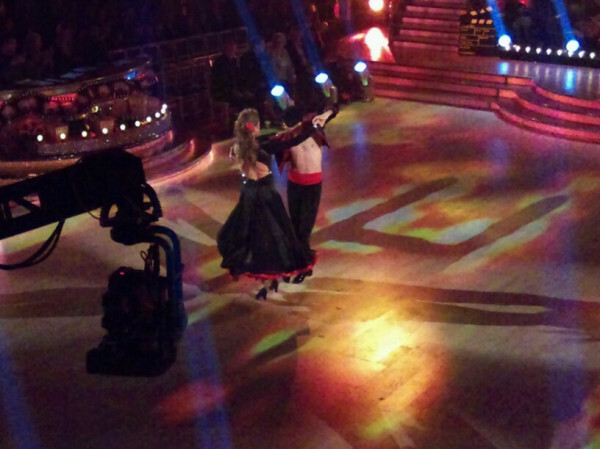 Wow"
James: "It took a lot of guts to perform that dance. Alex should be proud"
Pasha: "This is Chelsee's 4 10s dance!" Holly: "Everything went wrong. I was just trying not to have a cardiac arrest"
Kristina: "Wow 4 10s! I thought I'd never see that!" 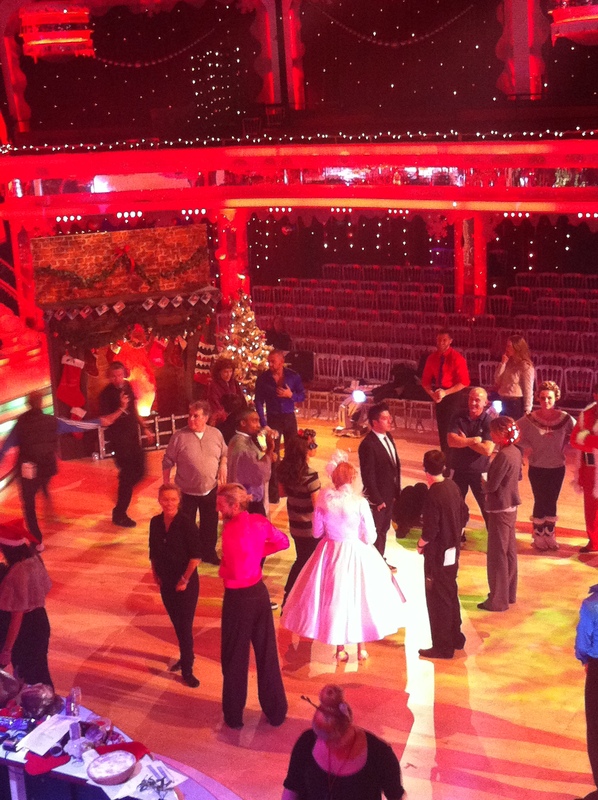 Television Centre is buzzing this afternoon as our five remaining couples prepare for the semi-final tonight. 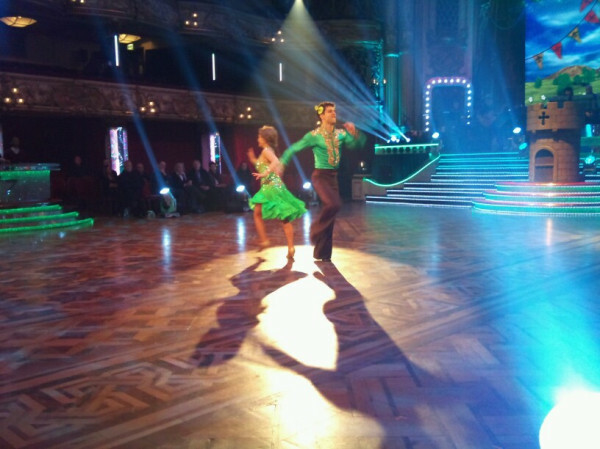 Each of our duos will be performing two dances in the hope of making it through to Blackpool. Just look at the anticipation on Harry's face! 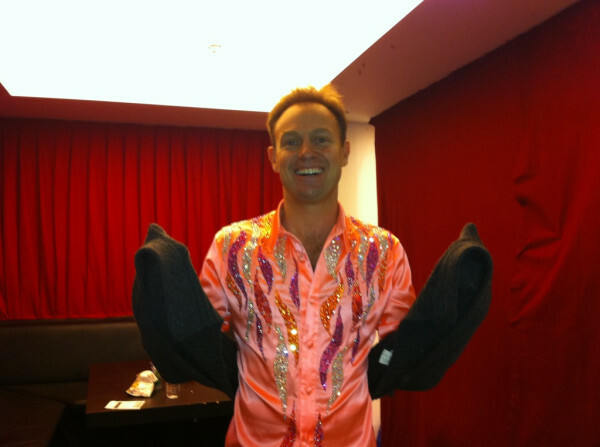 Jason strips his cardie off to reveal super Strictly sequins! Jason and Kristina dance to Michael Jackson, if he's out don't blame it on the boogie! 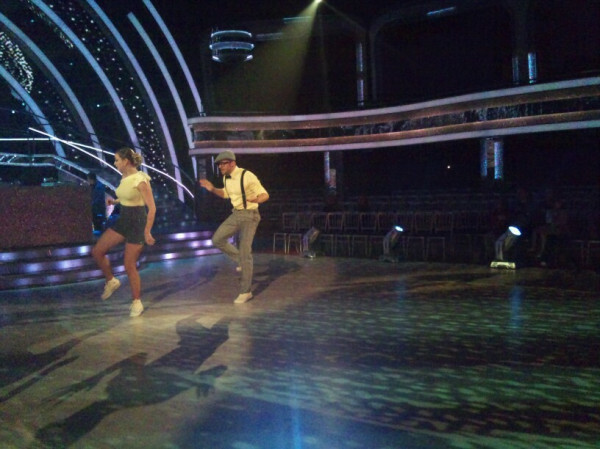 Holly and Artem do a modern take on the Charleston don't miss it! It's a case of double jeopardy this week as TWO couples will be leaving this year's competition. 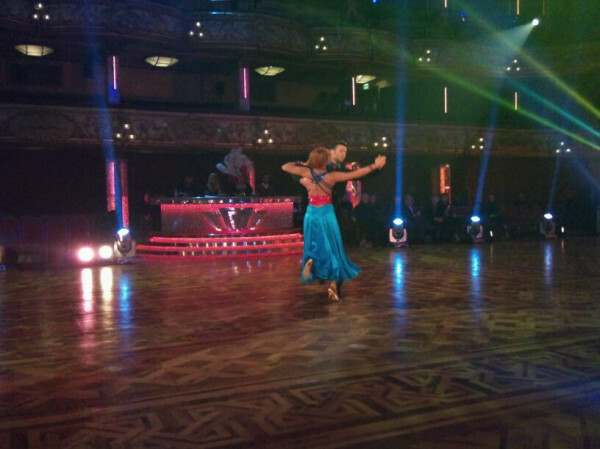 If that wasn't hard enough, our dancing duos must perform TWICE for a chance to be in next week's final in Blackpool. Our Famous Five have been setting the training room on fire, learning not one, but TWO routines for the semi-final this Saturday. With the glitter ball in sight and Blackpool Tower calling, none of our couples want their Strictly journey to end this weekend. However, two of our duos will be gliding out of the competition as only three can remain for the final. Let us know how you think our semi-finalists are shaping up - you can watch the finished performances live this Saturday at 6.30pm on BBC One. 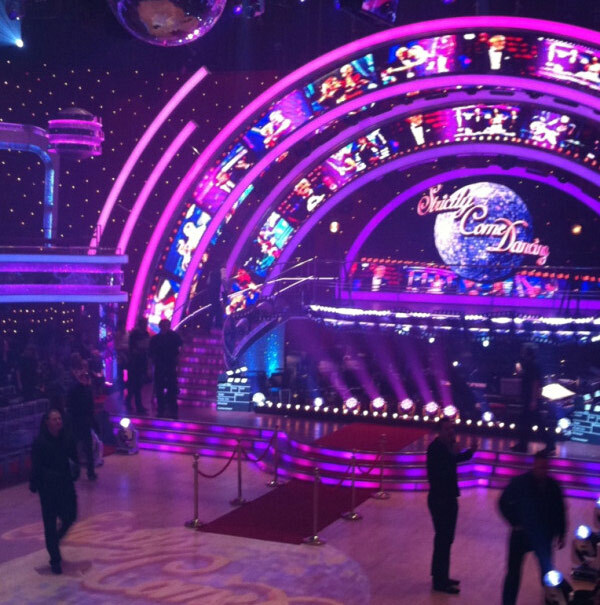 The Strictly Final Live in 3D! 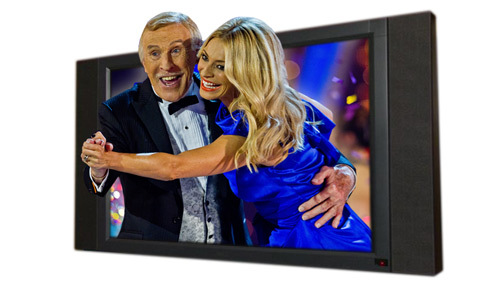 On Saturday 17th December the BBC will be broadcasting Strictly Come Dancing, The Final, live in 3D for the first time ever! This experimental trial can be viewed at home if you watch Strictly on the BBC HD Channel with a 3D enabled television. However, excitingly we are also making this available live in selected cinemas across the UK. If you'd like to share the 3D experience with your friends, please come and watch the broadcast at one of the participating cinemas listed below. 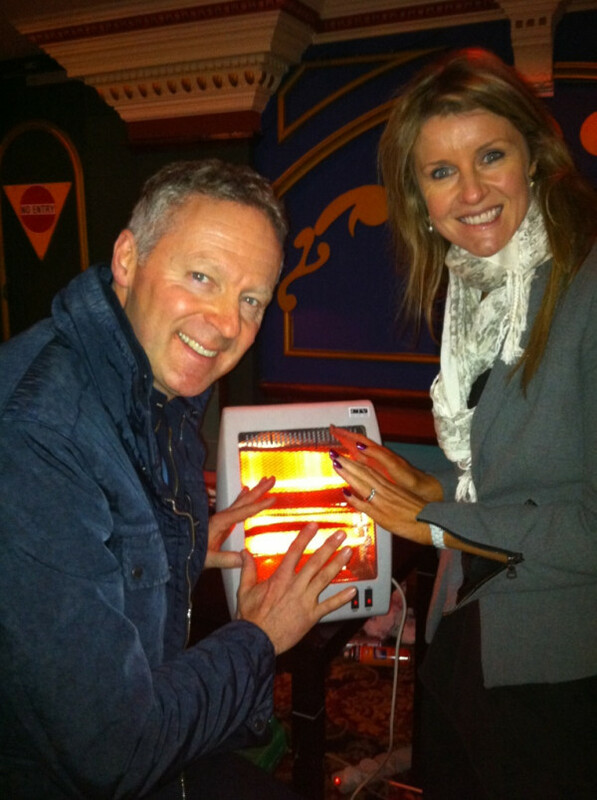 The live show will start at 7pm on December 17th and we'd like you to join us from 6.45pm. Tickets are limited and will be available to purchase on a first come first served basis, please go to any of the links below for the cinema venue of your choice. If you buy a ticket you will be agreeing to the relevant terms and conditions of the cinema. The BBC is not responsible for these terms. INFORMATION UPDATE : There have been THREE additional screens added in Liverpool, Kingston and Wimbledon. 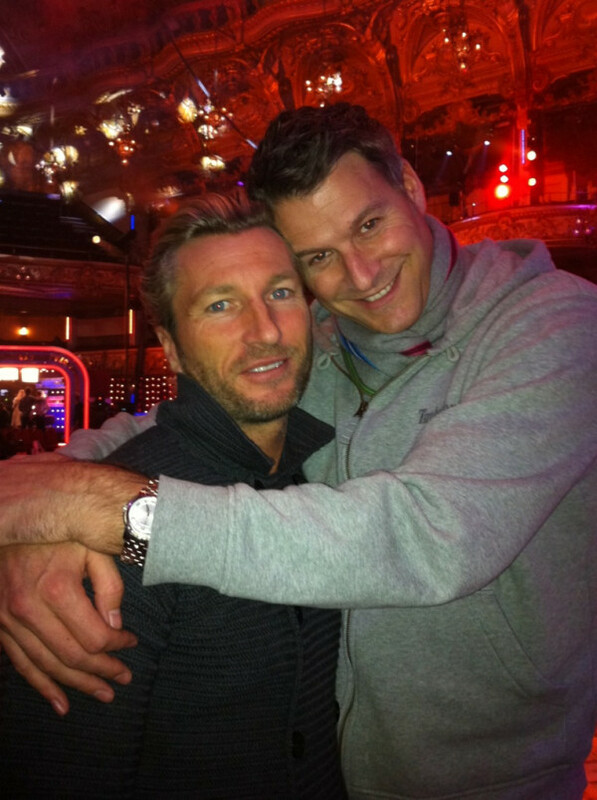 Robbie Savage has become the ninth celebrity to leave Strictly Come Dancing. 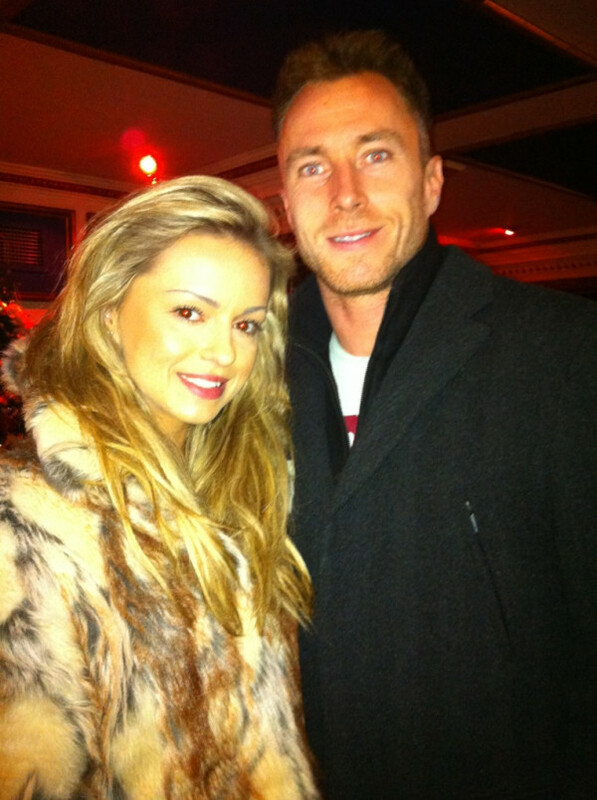 The ex Premier League footballer and his partner, Ola Jordan, found themselves in the bottom two with Jason and Kristina; it was then announced that Robbie and Ola would be leaving the ballroom. 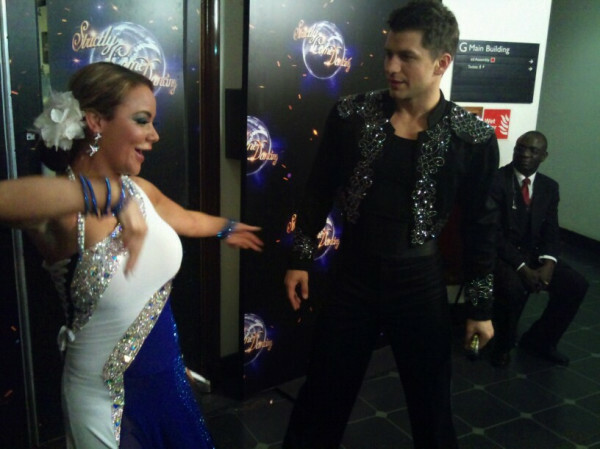 The standard of dancing was high this week, and even though Robbie and Ola received one of their highest scores from the judges, they were still four points adrift at the bottom of the leaderboard. 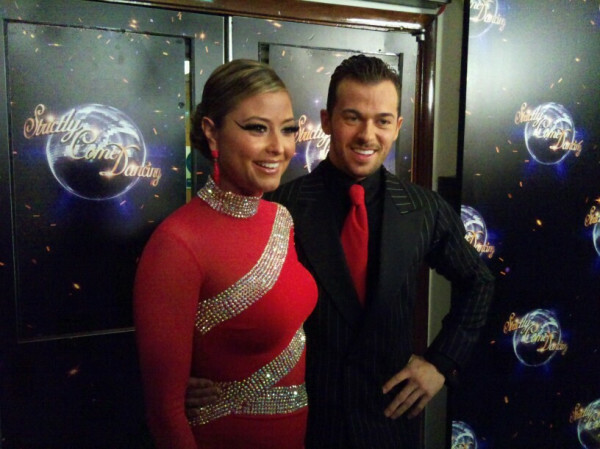 Bruno on Robbie and Ola's Quickstep: "I love the combination of sharp looks and clear attitude. 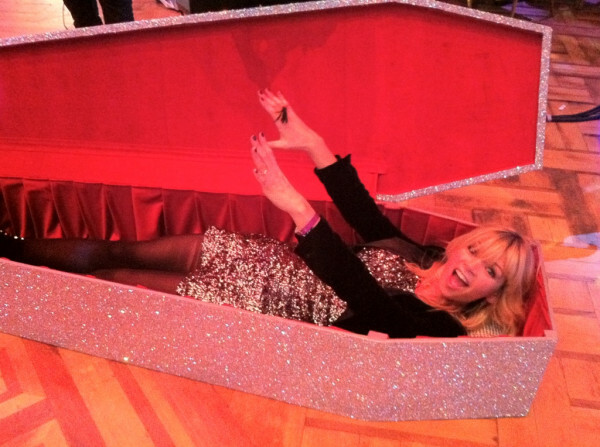 The way you were strutting your stuff, somewhere in between Kate Moss and Russell Brand." As ever, we were first on the floor to find out the reactions from the celebs and pros. Last night's Strictly had as much action as a Hollywood blockbuster; some of the most iconic films were recreated on the dancefloor. Holly had to settle for the Best Supporting role as Chelsee took the Leading Lady award with 39 points. The rest of our ensemble cast scored very well, but it was Robbie who found himself at the bottom of the leaderboard with 30 points. Watch the Results show to find out who failed to get a part in next week's show; the professional dancers will also be in action as they revisit the days of the silent movie. All that, tonight, 7.25pm on BBC One. 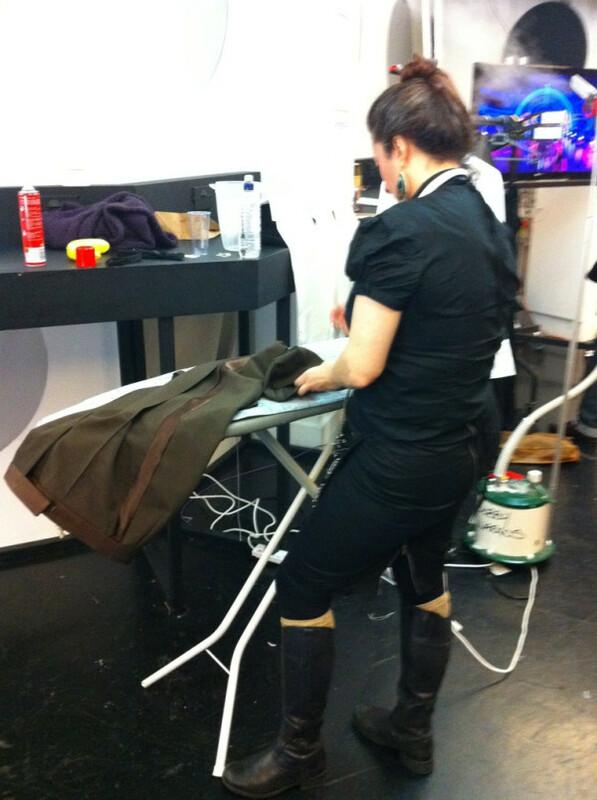 Wow - the curtains may have come down but what a night... It was raining 10's! Our special movie-themed soiree was full of twists and turns as our dramatic cinematic showdown shook up the leaderboard once more. 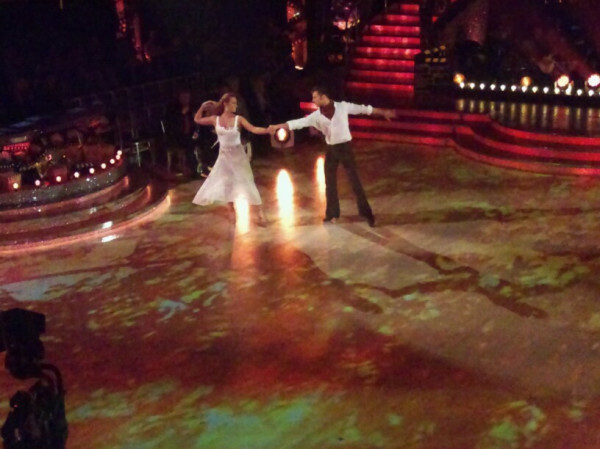 Robbie played it cool tonight but found himself at the bottom of the pack as his Quickstep netted a round 30. 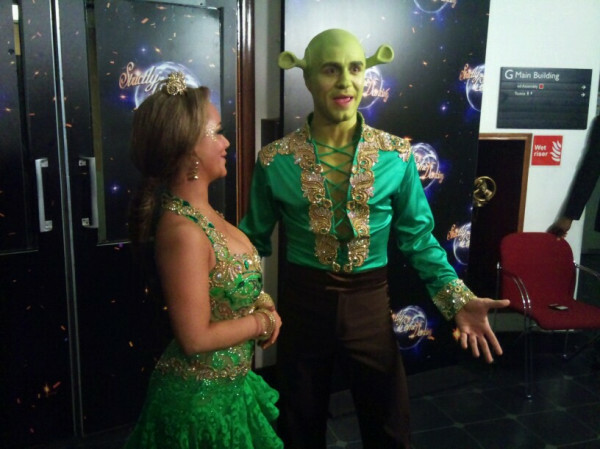 Harry became one of the Middle Men after his Rumba racked up 36 points, whilst Chelsee got her fairytale ending when her Shrek-inspired Jive jostled her to the top of the board with 39 points. Here are the final scores for Week 10 - find out who didn't make the director's cut on Sunday at 7.25pm on BBC One. Make sure you find the best seat in the house and get your popcorn at the ready as Strictly's special Movie Week feature kicks off LIVE at 7pm on BBC One. 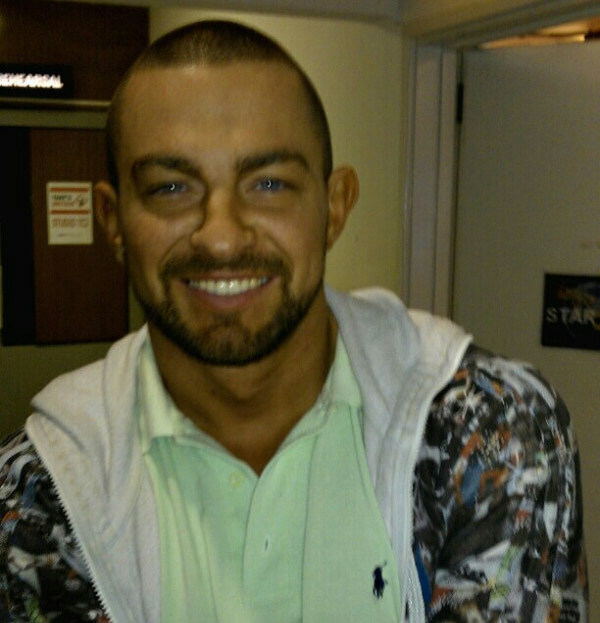 Will Harry be Top Gun again tonight or will Jason find that he's The Contender this week? 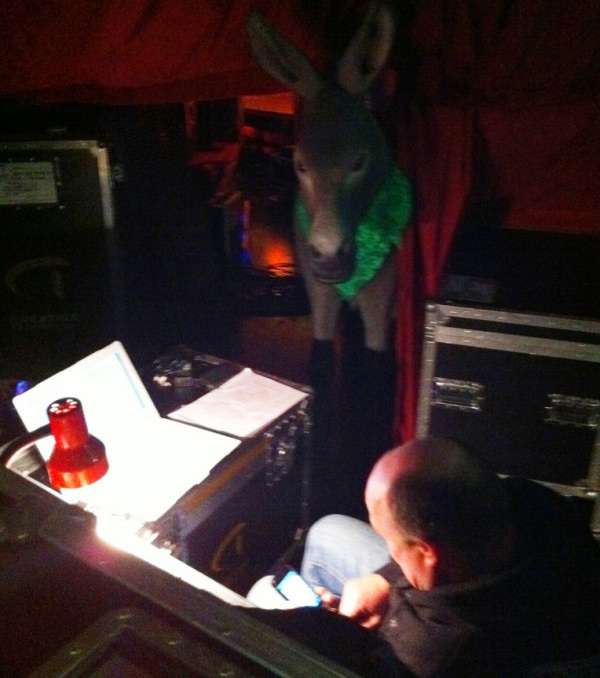 Stay tuned right here to keep up with all the exclusive backstage pics straight from stage door. 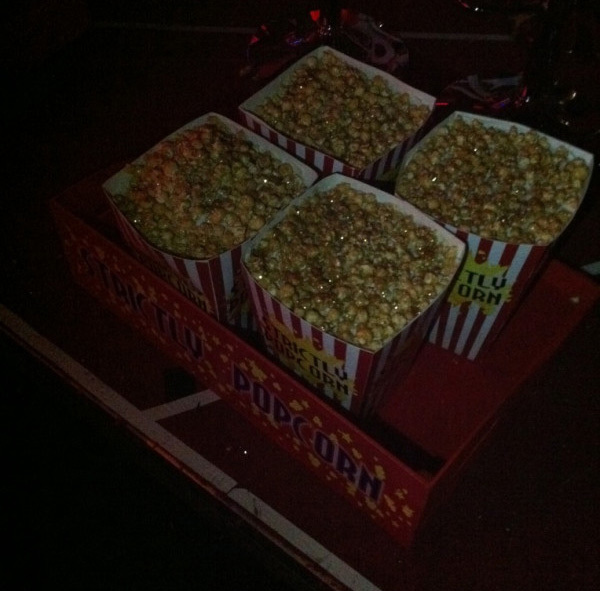 We've got popcorn - have you? Ola: "I agree. 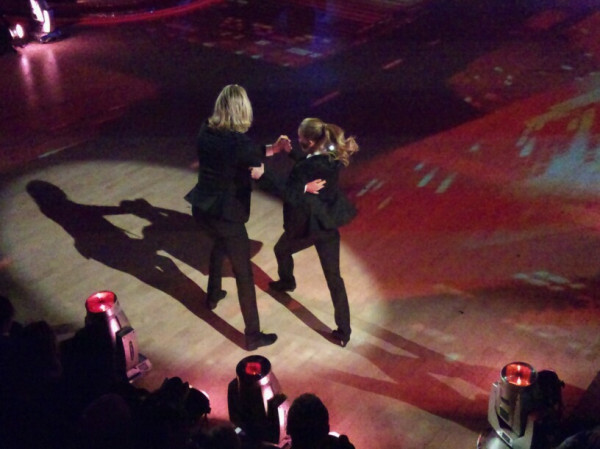 It was a cool Quickstep"
Harry: "I had a dream I got four 9's and it came true!" James: "There were mistakes but that's the nature of live TV"
Holly: "That was awesome. We got two 10's!" Kristina: "I'm so proud of Jason's solo number at the start"
Chelsee: "Three 10's! And even a 10 from Len. 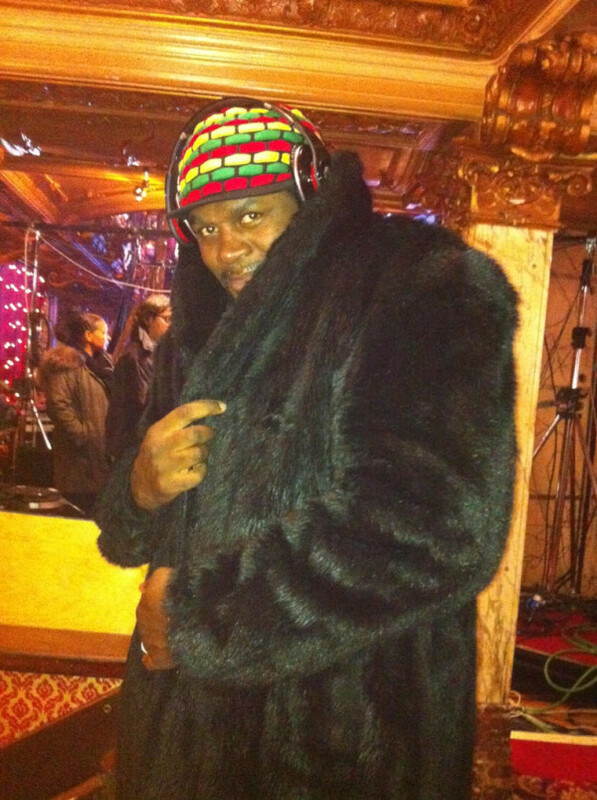 I'm made up"
Everyone is on location for this week's Movie Special. 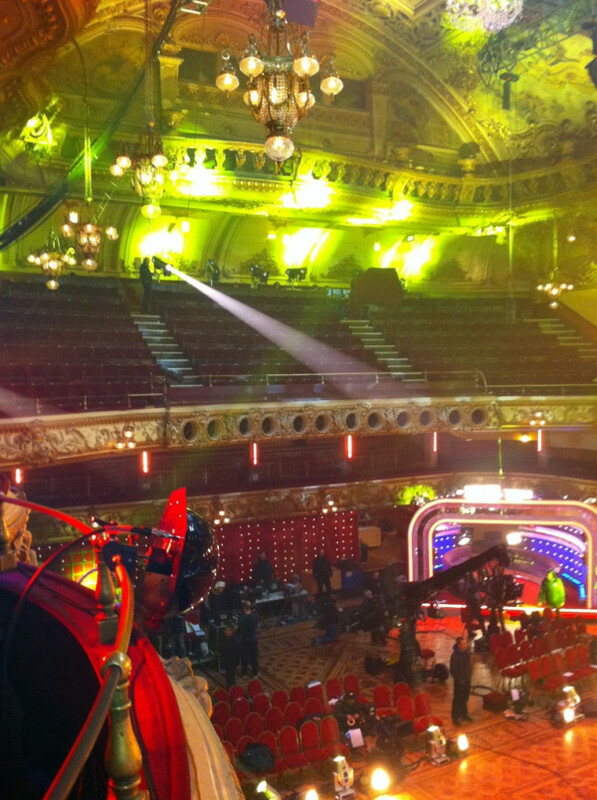 The lights are in place, the crew are ready, and the leading ladies and men have learnt their lines (well, dance routines). The couples will be hoping to land a part in next week's semi-final, but first they must impress the judges, who will have a big say in the casting of next week's Strictly. The remaining duos are now putting the finishing touches on their movie-themed dances, and, as ever, we were on set to see them all in action. 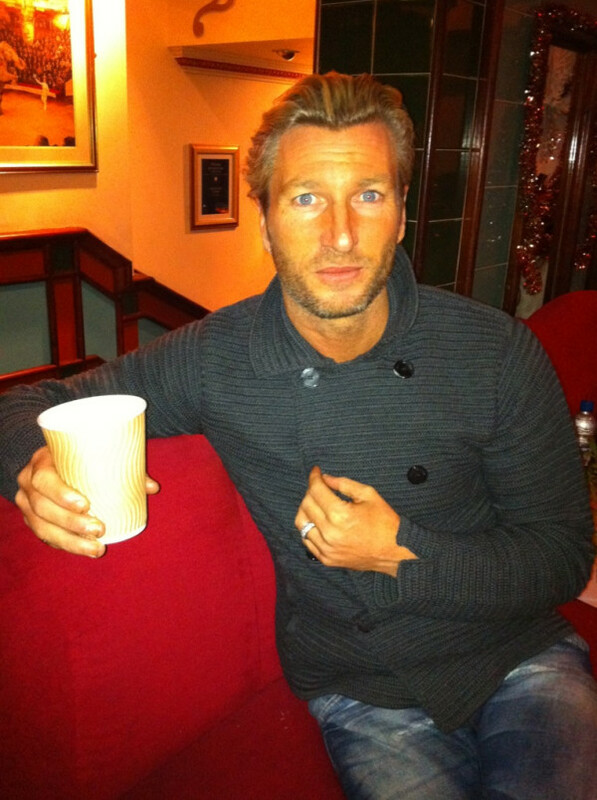 Remember, tonight's feature presentaion starts at 7.00pm on BBC One. Chelsee and Donkey...can you see Pasha? Lights! Camera! Action! It's movie week guys and gals and that means we are in for a feature-length ballroom battle between our all-star Strictly cast. We've already seen our screen sirens and leading men in rehearsal, but do they have Happy Feet this week or is Misery a better description? 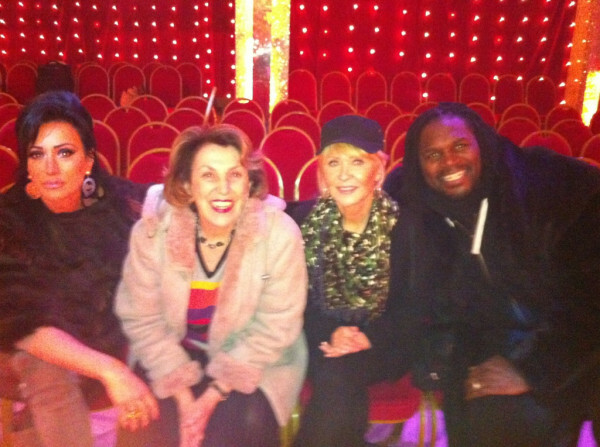 Find out what some familiar faces had to say about their routines ahead of tomorrow's live show. How will it end? No one knows! 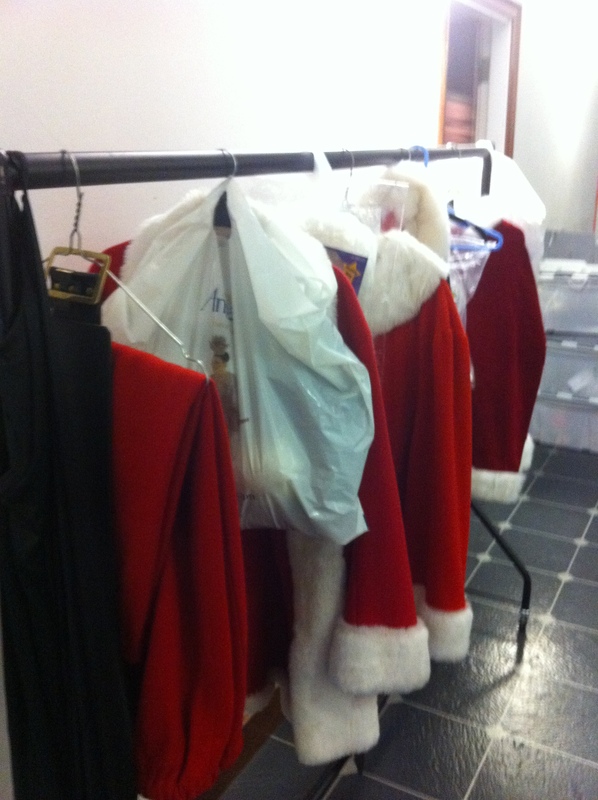 Just make sure you have found your seat in front of BBC One at 7pm on Saturday 3rd December. The results will be revealed at 7.25pm on Sunday. It's movie week! Our six remaining couples have been training hard to channel their Strictly stardust into a big screen performance that will push them through to the next stage of the competition.